Want To Slay The Corporate Robot? Try Kindness! The holiday season is a time for giving. However, between work, family commitments and chores around the home, you can lose touch with the true meaning of the holidays. Random acts of kindness can help you achieve a better life balance. While you may have work related deadlines that can get in the way, these simple tips can help you slay the corporate robot. Whether you place a call to a relative that you’re no longer close with or rekindle the friendship with someone from grade school, making a connection by wishing them holiday cheer can give you a good feeling. You can pay this feeling forward by asking them to do the same until the chain of kindness has been spread. With busy schedules and work obligations, it can be easy to take your loved ones for granted. This is the ideal time of year to show them how much you care by surprising them. Breakfast in bed, baking cookies, fixing a leaking toilet, running errands or purchasing a plant or flowers can go a long way to letting them know you love them. If you are looking for additional ideas, try using the Acts of Kindness Advent Calendar to help you spread the love! Mother Nature gives so much back with its beautiful sunsets, a bounty full of animals, mountainous views and tree-lined forests, that it’s time for you to give back. You can do this by being kind to the planet with ideas such as recycling, picking up litter along a well-traveled roadway and using products that are environmentally-friendly. If you’re busy with deadlines and work related issues, it can be easy to spread that aggression around at home. Taking the time to be positive by paying a compliment to your family can make them feel good about themselves. Simple words telling your significant other that they look beautiful or letting your co-workers know how much you appreciate their work can spread joy and positivity. There are very few things that can show such unconditional love and adoration like your pets. You’ve spent quite a bit of time showing your loved ones how much you care and now it’s time to do so for the animals in your life. An extra back rub, long walk, special treat, toy or words of praises can earn you extra purrs and smooches. With the tough economy, there are so many people in need this year. Whether your passions lies with children, the homeless or animals, you can make a concerted effort to give back to those less fortunate. You can do this by making a monetary contribution or donating your time and talents to ensure that they have a joyous holiday season. It’s easy to get caught up into your own corporate world of obligations. However, this is the ideal time of year where you can make a difference by exhibiting acts of kindness. You can do this by setting a guideline to do something kind and thoughtful each day of this special month. Who knows, these simple thoughtful devotions may contribute to a yearlong commitment to making others feel special. Believing that kindness should be year round, Nadine Swayne presents this article. Using an Acts of Kindness Advent Calendar can give you great ideas for spreading the holiday cheer and joy! It helps us to be more thoughtful to our fellow man and remember the reason for the season. 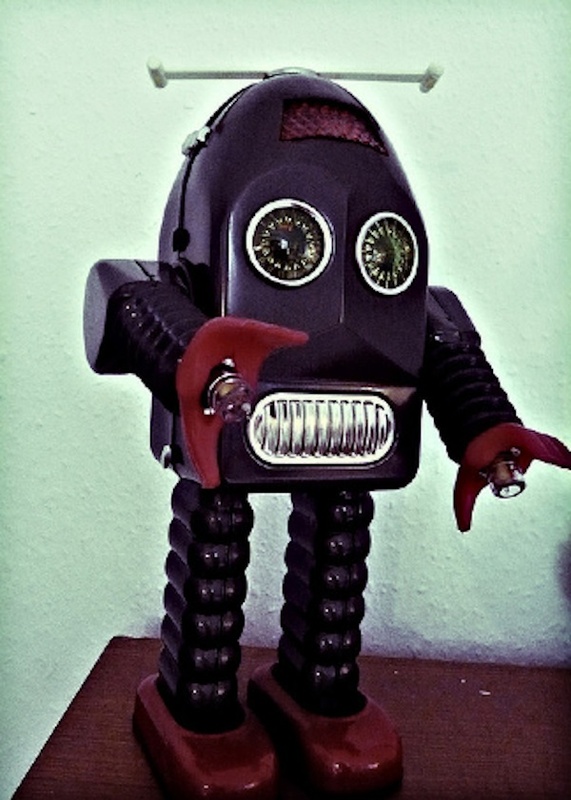 4 Responses to Want To Slay The Corporate Robot? Try Kindness! What great tips and such a great reminder to kill em with kindness. Great tips and so true I know sometimes I get to busy in fact this Christmas seems like a chore to me so I need to do some of these and start enjoying it instead. Exactly! Slow down, enjoy and be happy and thankful. These are all beautiful ideas! It is that time of year, and it’s so easy to get caught up in the hustle and bustle, and forget to be kind, and generous to others..And we also forget just how AWESOME it can make us feel when we make someone else feel awesome! Thank you.